Toronto Film Society presented The Devil and Miss Jones (1941) on Monday, February 11, 2019 in a double bill with No Time for Love as part of the Season 71 Monday Evening Film Buff Series, Programme 5. Production Company: Frank Ross-Norman Krasna Inc. Producers: Norman Krasna, Frank Ross. Director: Sam Wood. Screenplay: Norman Krasna. Cinematography: Harry Stradling. Film Editor: Sherman Todd. Production Design: William Cameron Menzies. Art Direction: Van Nest Polglase. Music: Roy Webb. Costumes: Irene. Release Date: April 11, 1941. 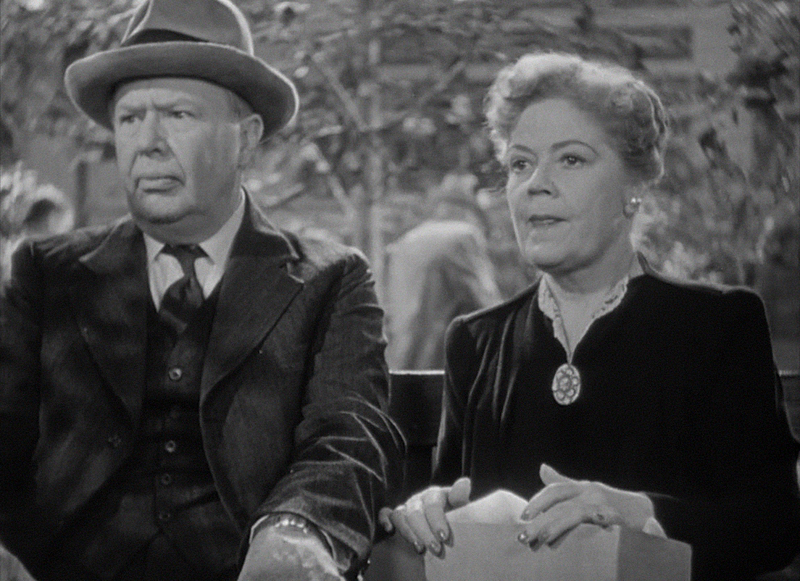 Cast: Jean Arthur (Mary Jones), Robert Cummings (Joe O’Brien), Charles Coburn (John P. Merrick), Edmund Gwenn (Hooper), Spring Byington (Elizabeth Ellis), S.Z. Sakall (George), William Demarest (First Detective), Walter Kingsford (Mr. Allison), Montagu Love (Harrison), Richard Carle (Oliver), Charles Waldron (Needles), Florence Bates (Customer), Regis Toomey (First Policeman). I have just seen The Devil and Miss Jones and am more than a little disgusted with the whole picture. I have no sympathy with strikers who see an opportunity to cash in on a good thing: and I dislike more to see this condition presented sympathetically in a motion picture. With conditions as they are in the world today—London bomb-shattered, millions starving on the Continent and our own men and boys giving up good jobs and leaving families to serve their country for $21 a month, I think it time these so-called “sympathetic strikers” wake up and realize just how precarious is our position in the world today. Is it asking too much that each do his share to preserve this democracy of ours with as little grumbling as possible? Too bad these strikers couldn’t spend one night in an air-raid shelter only to emerge the next morning to find their homes and their possessions just so many ruins; or spend one week in one of Hitler’s concentration camps. Perhaps then they would realize that a little sacrifice today insures untold benefits tomorrow. Keeping this opinion in the back of our minds, let’s watch and enjoy the film. The plot of this film centres on a cantankerous tycoon who happens to be the world’s richest man: John P. Merrick (Charles Coburn). Merrick learns that certain employees are trying to unionize a department store that he owns. He decides to go undercover as a show clerk at the New York store location to identify the agitators trying to form a union. Once he himself is subjected to the humiliating treatment afforded his employees, Merrick starts to wise up—and soften up. He befriends fellow clerk Mary Jones (Jean Arthur) and her recently fired boyfriend, Joe O’Brien (Robert Cummings), a labor union organizer. As things develop, it is Merrick himself who spearheads the union movement, after discovering how duplicitous his hand-picked executives can be. Through his firsthand experiences, he grows more sympathetic to the needs of his workers, while finding unexpected love with sweet-natured clerk Elizabeth Ellis (Spring Byington). The Devil and Miss Jones is a social comedy with left-wing undertones. Even today, this film has merits, as it shows the working conditions that non-unionized workers can go through as well as the need for unions. As an interesting side note, The Devil and Miss Jones was the first film produced by Frank Ross and Norman Krasna’s company, and they must have had an inkling that the storyline would be a winner. They borrowed $600,000 from the bank to finance the film. In ten weeks, the scrip was complete; they’d managed to sign the noted director Sam Wood (A Night at the Opera; A Day at the Races; Goodbye, Mr. Chips; and The Pride of the Yankees); and RKO had agreed to distribute the film. Robert Cummings liked the script and agreed to play Coburn. However, he was under contract with MGM, so the film was shot concurrently with stops of up to nine days, so that he could do scenes for MGM’s Free and Easy. 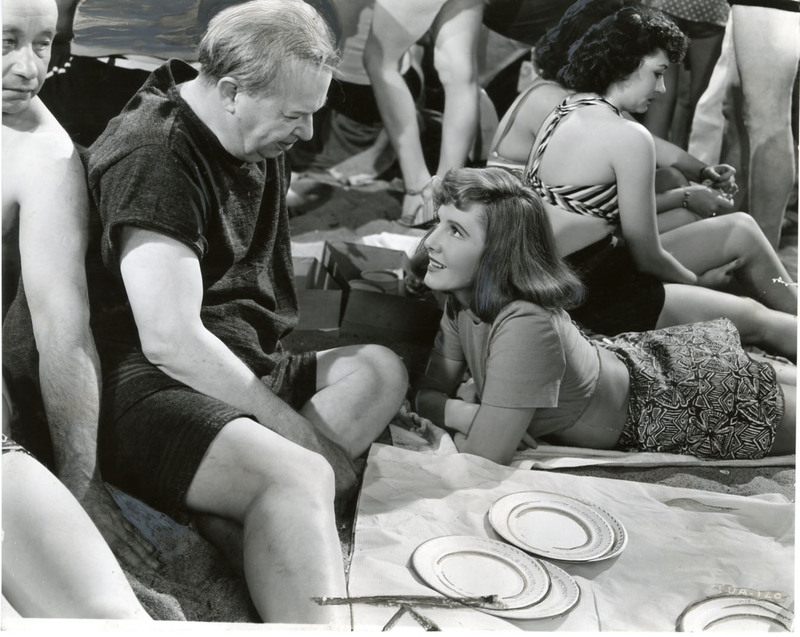 The movie went on to receive two Academy Award nominations: Charles Coburn for Best Actor in a Supporting Role and Norman Krasna for Best Writing—Original Screenplay. Production costs were about $630,000 with box office receipts of about $1,400,000. The film made a profit of roughly $120,000. Not a bad investment! It can also be noted that Jean Arthur was married to Frank Ross. Because of the movie’s success, there were adaptations based on the story. These adaptations were both used in live theatre and in radio plays presented throughout the 1940s in various locations across the United States. Finally, Norman Krasna was a successful American screenwriter, playwright, and film director. He is best known for penning screwball comedies which centred on cases of mistaken identity. 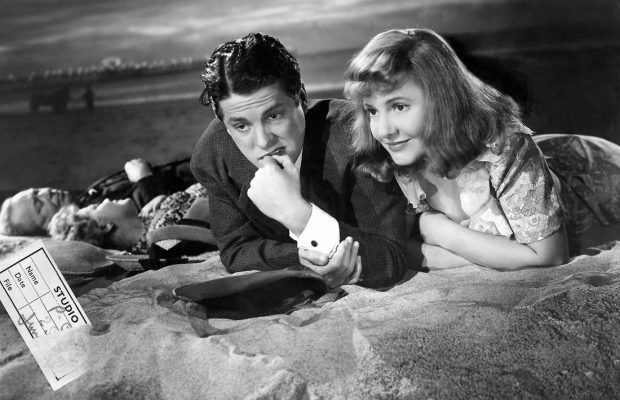 These types of films were very popular in the 1930s to 1950s; they have remained of interest to filmmakers, but are now generally called romantic comedies. Two such recent films are Laws of Attraction (2004) and Rumor Has It (2005).